The Camberwell Chorale, one of the oldest community choirs in Australia, has been making music in Melbourne (and beyond), ever since it was founded in 1944. This remarkable achievement is founded on the dedication of its numerous choristers past and present, and the creative contributions of the many talented repetiteurs, soloists, and orchestral players who have collaborated in its performances (often for negligible financial reward). Above all, the choir’s continuing vitality and success can be credited to the talent and energy of the two remarkable men who have guided the choir’s fortunes since its inception. The founding director of the Chorale – originally named the Camberwell Philharmonic Society – was Dr Herman Schildberger, who came to Australia in the late 1930s as a refugee from Germany, where he had already established a successful musical career prior to the rise of Nazism. In Melbourne, he quickly became active in a wide range of positions including musical director for the Temple Beth Israel, director of the National Theatre Opera School, conductor of the State Service Orchestra, occasional conductor of the Melbourne Symphony Orchestra, and director of several other choirs. Under Dr Schildberger’s leadership, the Chorale performed many classical and contemporary choral works (some performed for the first time in Australia), in various Melbourne venues including St Paul’s Cathedral, the Melbourne Town Hall, and the Great Hall of the National Gallery of Victoria. From the start, Dr Schildberger’s programmes were ambitious and demanding for singers and audiences alike. The opening concert, held at the Camberwell Town Hall in March 1945, featured a choir of 100 women and 26 men, accompanied by a string orchestra. They performed works by a variety of composers, from Purcell to Holst, with Mendelssohn’s cantata Lauda in Sion as the centrepiece. In April 1946 came Israel in Egypt, the first in a long line of performances of Handel’s oratorios (several of them Australian premieres) for which the choir became renowned. Opera also formed an important element of the choir’s early programming, featuring a number of concert performances of complete operas, including Carmen, Il Trovatore and Faust. Camberwell singers joined the chorus for Aida and other National Theatre opera productions in this period. Camberwell members also sang with several large choirs formed for significant Melbourne events during the 1940s and 50s, including a thanksgiving service at the Shrine to mark the end of World War II, a reception at the Exhibition Buildings for the Queen’s visit to Melbourne in 1953 (under the baton of Sir Bernard Heinze), and the opening and closing ceremonies of the 1956 Olympic Games. In 1963, Dr Schildberger conducted the critically-acclaimed Australian premiere of Ernest Bloch’s Sacred Service (Avodath Hakodesh) at the Melbourne Town Hall, performed by the Camberwell choir together with singers from the Brighton Philharmonic Society, Temple Beth Israel and Toorak Synagogue, the Victorian Symphony Orchestra, and a group of soloists led by Frederick Lechner, Cantor of New York’s Central Synagogue. Bloch’s 1933 composition, which transforms ancient Jewish themes and rhythms into a modern and universal work, has since been performed on several occasions by the Camberwell Chorale. 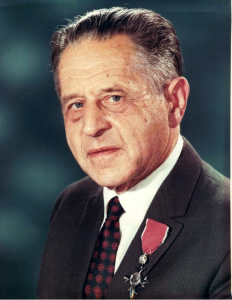 Dr Schildberger, who was awarded an MBE in 1971 for his services to music, helped celebrate the choir’s 30th anniversary in September 1974, but died shortly afterwards. His memory is preserved through the Herman Schildberger Award (established with the proceeds of a memorial concert held in 1975), still awarded annually at the Boroondara Eisteddfod, to a promising young singer. Dr Schildberger’s son Michael (well known in his own right in media and business circles) continued his family’s long association with the Chorale, serving as President from the 1970s until 1998, and maintaining an active interest in the choir until his death in 2010. Since 1974, the Camberwell Chorale has been led by Douglas Heywood, who has built on the traditions established during the first 30 years of the choir’s history. A choir member, soloist and deputy conductor during Dr Schildberger’s era, Doug brought his own infectious enthusiasm and special commitment to music education to the position. At the time of his appointment, Doug was also director of music at Norwood High School, and later became a lecturer in music education at the University of Melbourne. He has also been active in a range of other positions while in charge at Camberwell, including directorship at various times of the Caulfield City Choir, the Victorian State Singers, the Melbourne Welsh Male Voice Choir, and the annual Carols by Candlelight choir at the Myer Music Bowl. In 1994, he was awarded an OAM for his contributions to music in Australia. Soon after becoming musical director of the choir – known officially as the Camberwell Chorale since 1977 – Doug Heywood established the Camerata Orchestra, which has performed regularly with the choir ever since, presenting major choral works in their original orchestral form, along with many notable soloists. While established choral masterpieces from Handel to Vaughan Williams have continued to form the backbone of programming, a number of contemporary works have been given their world premieres by the Chorale during the Heywood years, including At Dawn (Cyprus Refugee Camp no.4) by Stelios Tsiokas (1986). In 1990, the Chorale premiered a remarkable new work by English/Australian composer Michael Easton – his Symphony No.1 “Unsung Heroes”. This work, dedicated to the Chorale, Camerata Orchestra, and Doug Heywood, commemorates the Gallipoli landing, setting poems by Housman, Sassoon, Rupert Brooke and others, often in rhythmically and harmonically challenging form. Parts of the score were still being radically re-written during rehearsals, simply increasing the excitement and difficulty for choir and orchestra members alike! Following the composer’s untimely death in 2004 at the age of only 50, the work was performed again, in April 2007, from a score completely reconstituted by Doug Heywood, who is now involved in an ambitious project to produce a high-quality archive recording of the work, featuring the Camberwell Chorale. Another notable Heywood initiative was the formation of the Victorian Concert Choir in 1983, giving singers with little or no musical training the exciting opportunity to join members of the Camberwell Chorale, the Camerata Orchestra, and distinguished soloists, in performing large-scale choral works in the new Victorian Concert Hall (and, later, other major Melbourne venues). The aim of the VCC was simply, in the words of its Chairman of Trustees, the late Sir Rupert Hamer, “to open the stage doors of the Concert Hall to choristers who, without the fear of audition, can meet for 10 rehearsals and prepare for a performance of a significant choral work.” Exhilarating annual concerts eventuated, featuring works such as Mendelssohn’s Elijah and Verdi’s Requiem, sung by massed choirs of over 300 voices. A particular highlight, in this writer’s opinion, was a remarkable performance of Sir Michael Tippett’s challenging and moving modern masterpiece, A Child of Our Time, in the Dallas Brooks Hall in 1995. The VCC venture, which ran until financial pressures caused its demise in 1999, was acclaimed for its community character – which also remains a continuing emphasis of the Camberwell Chorale itself. Besides performing in the Camberwell Civic Centre, Hawthorn Town Hall, and various other Boroondara venues, the Chorale has also travelled extensively during the Heywood era, performing elsewhere in Melbourne, and in a number of Victorian centres such as Ballarat, Echuca, Port Fairy, Queenscliff, Shepparton and Yarrawonga. As in the Schildberger years, Chorale members have joined other choirs for several memorable Melbourne occasions since 1975, including Victoria’s sesquicentenary celebrations in 1985 (as part of the 800 voice “Victoria Victoria” choir at the Exhibition Buildings), and the choral contribution to Melbourne’s heroic but unsuccessful Olympic bid in 1990 (beamed to the world by satellite!). Chorale members regularly sing in Carols by Candlelight (televised nationally each Christmas Eve), of which “Uncle Doug” Heywood has been choral director since 1987. Since celebrating its 60th anniversary in 2004, the Camberwell Chorale has continued to flourish, recently attracting a crop of younger new members. Several traditions have been established, such as the annual November performances of Handel’s much-loved Messiah, in both Camberwell and Williamstown. The Nine Lessons and Carols concert has also become a favourite on many People’s calendars, each December. Other notable recent concerts have included two stirring performances of Verdi’s Requiem, sung together with the West Gippsland Chorale (Warragul Performing Arts Centre and Hawthorn Town Hall, October 2010), and a memorable May 2011 concert featuring works by three generations of the Mozart family, including Wolfgang Amadeus’s Great Mass in C minor, and his son Franz Xaver’s Piano Concerto in E flat (an Australian premiere; with Katherine Shiell as soloist); and a powerful performance of Dvorak’s rarely-heard Requiem (April 2012, at Xavier College; wih the Box Hill Choral). Since 2012, the Choral has also performed annually at St Andrew’s Anglican Church, Brighton, each concert featuring a star turn on the grand organ by Doug Heywood’s internationally recognised son, Thomas. In 2012 and 2013, the Choral and Camerata also participated in world premieres of two challenging and intriguing new works by noted local composer George Dreyfus: his Symphony no. 3 (March 3, 2012, Hawthorn Town Hall), combining references to Goethe, Mahler, and the Spanish Civil War; and the “Dreyfus” Symphony (March 10, 2013, St Kilda Town Hall), a complex dramatization of/reflection on the infamous “Dreyfus affair” that gripped late 19th century France. In recent years, the Choral has been blest with a particularly dedicated and able committee, and a very talented musical team supporting the director (especially Camerata Orchestra Leader Mary Johnston, rehearsal pianist Simon Stone, and Alexandra Cameron, deputy conductor since 2010, and a dedicated music educator and choral director in her own right). Accordingly, the Choral may well be in the most resolved and harmonious state of its entire history – a tribute to all concerned. While the choir continues to receive support from the Boroondara council, it remains largely self-supporting, relying fundamentally on members’ annual subscriptions, a wide range of fund-raising activities, and of course ticket sales. A recent initiative, steered by President Adam Brown, has supplemented the choir’s income through tax-deductible donations, contributing to the choir’s continuing viability in these challenging economic times. 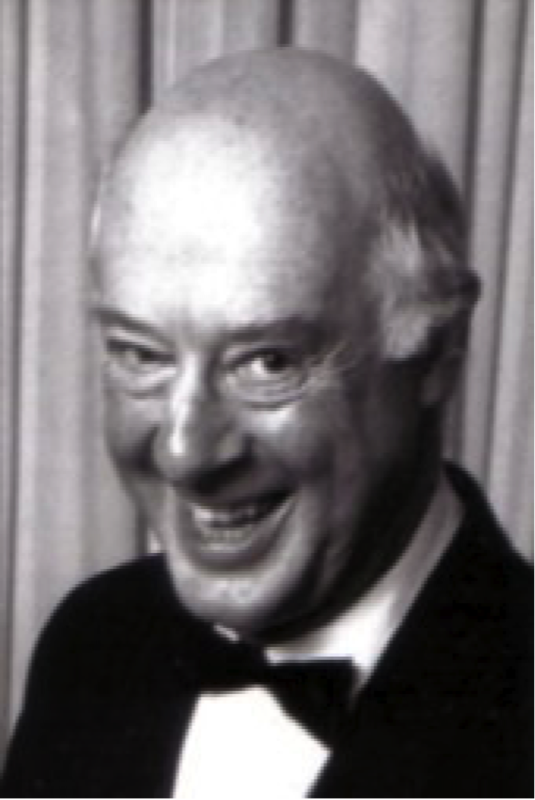 Principally, though, the Choral clearly owes its continuing viability and success to its indefatigable musical director, Doug Heywood, still displaying a twinkle in the eye (even in the face of continual backsliding by certain singers! ), and a general enthusiasm for life that belies his years. Four decades in any position is cause for celebration, and for Douglas to have continued to lead the Choral with such energy and good humour, over such a long period, truly is an extraordinary achievement. John Gregory, who was awarded his PhD by the University of Melbourne in 1979, retired recently after a long career lecturing in art history and theory at Monash University. He has taught and written extensively on both European and Australian art. His major monograph on Melbourne painter Howard Arkley was published by Cambridge University Press in 2006. He has sung tenor with the Camberwell Chorale since 1987, has served on the committee (including terms as Vice-President and President), and currently edits the Chorale’s newsletter. This history of the Chorale was first published, in essentially the same form, in nos. 8 and 9 (March and June 2012) of Camberwell History, the newsletter of the Camberwell Historical Society, edited by Trevor Hart. Mention should be made here of an earlier choir, called the Camberwell Choral Society, directed by a Mr W.J. (Grenville) Semmens, who died at the age of 53 on January 24, 1936 (clippings of death notices and obituaries in the Camberwell Chorale archive). Further research needs to be conducted into the history of this group, which apparently ran from 1921 to 1935, then being absorbed into the Malvern Choral Society. However, Dr Schildberger’s Philharmonic Society appears to have been a completely new venture. Gwen, who died in January 2011, aged 84, sang with the Chorale from 1944 until the late 1990s; and her husband Ted also sang bass with the choir for many years. Gwen shared these reminiscences, and some valuable early press clippings, in connection with an extended history of the Chorale I wrote for the 50th anniversary concert on October 15, 1994 (programme in Chorale archive). Gwen was also an original member of the Brighton Philharmonia Society, also founded by Dr Schildberger, which ran from 1943 until its later demise (exact date uncertain). W.H.Phipps, “Philharmonia Society – ‘Hiawatha’ success” (unidentified press clipping dated April 20, 1949; from Chorale archive). W.H.Phipps, as cited in previous footnote. Sheila McFarlane, Australian Women’s Weekly, March 12, 1958; Dorian Le Gallienne, “Hiawatha – Music, Canoes, Swimming”, The Age, March 10, 1958 (clippings in Chorale archive). Quoted from the program for the first VCC performance of Mendelssohn’s Elijah in July 1983 (and reprinted in subsequent VCC programs). Quoted from the reprint of Hector Walker’s review, published in the December 2008 issue of “Sounds Incorporated”, the Chorale’s in-house Newsletter. Music is the only sensual gratification which mankind may indulge in to excess without injury to their moral and religious feelings.